Pampered Pirate: Sailing Can Improve Your Health! Sailing Can Improve Your Health! The health benefits of sailing vary for each person, but did you know that sailing can improve your health? Sailing can be a great cardio workout, sometimes even more than other activities such as softball and tennis. According to Glamour.com, a 130 lb. woman can burn approximately 370 calories while sailing for two hours, and a 160 lb. man can burn 450 calories. Sailing can also increase muscle strength and muscle endurance, which can help your body burn more calories, even at rest. Flexibility and agility are also part of the health benefits of sailing. Many of the tasks in sailing require you to be flexible and agile, especially when tacking and gibing. For most participants, a sailing trip involves significantly more physical activity than normal day-to-day life. The positive effects of this activity are comparable to daily workouts on a Galileo fitness machine, an apparatus that stimulates pelvis, spine and abdominal muscle groups. Moving about and working on board likely strengthens muscles and improves coordination and balance. After three weeks of cruising, the fitness of the tested individuals had improved by a measurable 3 percent, equaling that of someone two years younger. Then there's the mental health that sailing provides. Sailing can be a great stress reliever. 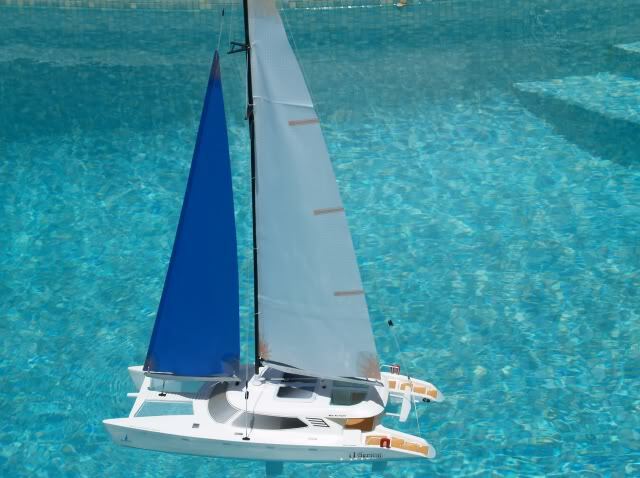 Imagine being on the water, with blue skies, fresh air, and the wind blowing through your hair. What a way to relax and relieve stress! Today, sailing suggests freedom, new relationships, harmony, and beauty. It also suggests fun, challenge, and visits to new places. Sailing is a great way to provide overall fitness and well-being, not to mention it's a lot of fun. So, get out there and go sailing! You're sure to feel relaxed, yet exhilirated all at the same time!